App creation offers a wealth of opportunity. With the most popular apps achieving as many as 23 million downloads in a single week, the earning potential is staggering. But, there’s one problem. Most ready-minded entrepreneurs and companies know the opportunity is there. According to KissMetrics, there are now over 750,000 apps on both the iTunes App Store and Google play. So how can you set your creation apart from the hundreds of others vying for attention? Simple: by integrating an effective mobile app marketing strategy. At Iconic Solutions, we’ve helped market some of the most popular apps around. Here’s our guide on mobile app marketing in 2017. We should probably preface this guide by stating the obvious: Even a flawless marketing campaign won’t sell a rubbish app! People ignore this advice, of course: hundreds of new apps are uploaded each day, all of them identikit clones of other unsuccessful ideas. They all tank. Do your research and make sure you’re bringing real value to the table. The other takeaway from reviews is that they can be used in your marketing communications. If theirs are unstable, yours work perfectly. And so forth. Of course, you shouldn’t make empty promises: only advertise what you can deliver! The flipside of this: if there are any features that a competing app gets rave reviews for, see if you can imitate it. Take what they’ve got and then improve on it. If you’re planning to use your app as an income source (rather than, say, as a loss leader or a lead generator), then there are a number of different options available to you. Up-front and in-app purchases. Though this can work, customers can very quickly get annoyed at being asked to pay more than once. Free and in-app purchases. Many of the world’s most popular games and apps take this approach. Free and paid versions. If you can whittle your app down to a ‘free’ version that’ll benefit users enough to make them want to upgrade, this is an excellent option. Free with adverts. Some apps make thousands a day off ads. However, advertising is about as popular as an unexpected bill in 2017, so it can be a risky approach. Some apps will be ‘free’ but have a paid option to turn off adverts, which can work. Users pay a single small fee each month. If you can offer enough value to make the subscription worth it, this is an excellent model for achieving ongoing income. Cross promotion. Some app developers create a free app, and then use it to promote a superior, paid option. Er, that’s a lot of options. Isn’t it? This is where competitor research rears its head again. Take the time to see which income models your competitors are using. If they’re smart –and the successful ones will be – then they’ll have already tested most of the options and settled on the one that brings in the dollars. Copy them! (If they’re all different – which is rare but not impossible – load up your income checker tool again and go with the same approach as the most successful app). In terms of how much you should charge, it’s all down to just how much your competitors are charging and how much the market is willing to pay. We’d recommend checking out this excellent piece from Mashable on the subject. What’s that? Your app doesn’t need a website? Wrong. One of the hallmarks of a professional app – i.e. one that’s been created by pros, rather than fly-by-night developers just after the cash – is having a high-quality, great looking website in place. Fortunately, that doesn’t mean having to break the bank. The chances are that if you’ve built an app, you probably know how to build a simple website! (And even if you don’t, it’s very easy to put together a great website with next to no budget – here’s a killer guide on how to create a great website on the cheap). It’s got to look great. App building’s a shallow business! Your app’s website has got to look good. When a user downloads your app, you’ll often be asking for access to some of their data: you need to look trustworthy and – for better or for worse – looks are part of earning that trust. It’s got to promote the app’s name, first and foremost, as well as the devices on which it’s available. It should promote what the app looks like. Either through a video play-through or good pictures. Just give the visitor an instant idea of what they’ll be getting. It’s got to have a short sales pitch. Sum up in a couple of sentences how your app will make the users’ life better. (If you can’t sum up your app in a couple of sentences, it’s too complicated!). It should highlight the key benefits. Again, these should be short, to the point and demonstrate specifically how your app will benefit the user. No waffling! It should have some form of call-to-action. If you’ve not released your app yet, this can be an e-mail sign-up form. If you have, then it can be a download button for the store. The important thing is to not waste your traffic – tell them what they need to do next. If you’ve got it, demonstrate some form of social proof. Testimony from other users is an invaluable tool in making any sale. Five star reviews, nice quotes, any awards you’ve won or been nominated for…it doesn’t matter. The key is that the user doesn’t have to take your word for how good the app is. Include contact information and a press kit. Make it easy for potential users and journalists to communicate with you. (Unsure what a press kit is? This great guide will get you started). Include social media details. Again, this is about establishing legitimacy. If you’ve got a well maintained social media account that links you to your customers, it’ll help convince potential users that you’re the real deal. And that’s it. What you’re looking to create is a high-quality landing page, and nothing more. (For more on landing pages, we’d recommend reading this). Despite all of the hype surrounding techniques such as SEO, Social Media, PPC and so-forth (all of which are, of course, excellent when used correctly), you should still be using email. Even if your app is live and you’ve included download links to it, it’s worth having an e-mail capture form on your website. An e-mail list is a receptive list of customers who want to hear from you, and there’s simply no downside to having this. And, yes, email is two times more likely to convert than any other marketing channel. Again, there’s NO downside to having a good e-mail list. If you’re unsure about the technical side, here’s a cracking guide. So, your app is done, and you’ve got a website that couldn’t be better looking than if Chris Pratt and Jennifer Lawrence had a baby. Now, you want to make money. (Understandable). We’re going to take a look at content marketing and other forms of free advertising soon, but we know that many developers are going to want to start off with paid marketing: after all, an effective paid campaign can put your project into the black on the first day. Facebook evolved to become perhaps the most effective paid advertising platform on the web. What makes it so excellent? Simple: the details. With Facebook advertising, you’re able to send out incredibly targeted ads. (One friend was even able to send his mate prank ads specifically targeted to him). You can promote in different ways, too: you can direct users to your landing page, or to the app store itself. You could also promote a video advert for your app, or even a particularly favourable review. The flexibility of the format is remarkable. The level of detail does mean that the learning curve can be a bit steep. You’ll need to set up a FB page for your app. Not a downside for everyone, of course – social media can be an effective free promotional tool in itself – but worth bearing in mind. (For a comprehensive guide to FB’s advertising platform costs, check out this guide). Use a sense of urgency. People head to Twitter for the latest news and trends. As such, words such as ‘now’, ‘hurry’ and ‘quick’ can help lower CPCs by as low as 36 % and improve conversions by as much as 9 %! Get personal. Analysis shows that using phrases such as ‘you’ and ‘your’ can increase sales by as much as 13 %. Give the real cost. Twitter’s info shows that if you include the price of your offer, you can save as much as 26 % per conversion. If your initial app price is free, of course, you could achieve even better results in the long-term. Discounts help. A lot. Advertisers on Twitter have achieved as much as a 40 % increase just by including a discount or offer of some kind on the ad. If your app is free (or cheaper) for a temporary period, be sure to mention the fact. Cut the caps. Unsurprisingly, users don’t like being yelled at. Tweets with one or more words in capitals cut conversions by up 36 %. In some markets, Google’s Adwords PPC tools can help you make an absolute killing. But in the paid app markets, they simply don’t offer the same level of detailed targeting that Facebook – and even Twitter – users take for granted. Are we saying they can’t work? Not at all. Google actively operates a page noting best practise. We’re simply saying that, if you want a speedy win, there are better options than straight PPC in 2017. Less upfront cash to burn? Fair enough; there’s nothing wrong with boot-strapping an app marketing campaign. Reaching out to major influencers. Whatever market you’re targeting with your app, there will almost certainly one or two social media behemoths who – if they deem your offering worthy – can put your app in front of thousands of people with one post or tweet. Followerwonk is generally considered the best tool for finding the right influencers, but actually sending the messages out? Elbow grease! It’ll take time, but if you’ve created a great product you’ll usually be able to get in contact with one or two key people: after all, modern influencers become who they are because they genuinely love their chosen market. If you send them something awesome, they’ll usually want to talk about it! There are websites out there that’ll have absolutely no problem promoting your app for free. The only proviso is that it’s got to be good. If you’re sure your app is more than second-rate, you can find the list of sites here. Opinion in the online world is divided when it comes to blogging. Some see it as all risk for no reward, others shout the potential value from the rooftops. There’s no doubting that – when done well – content marketing can be valuable. However, it is not for those who want a quick win: effective blogging takes time to get results. Why should you bother? Simple: When done properly, blogging and content marketing will provide you with a constant stream of valuable leads for free. A well optimised blog will generate leads 24/7, every year of the day with virtually no cost. Of course, you have to do it well. That’s a whole topic in itself. (We’d recommend reading this mega guide from Neil Patel, founder of Quicksprout and all-round content marketing messiah). We’ve mentioned the free ads, but it’s also possible to promote through the free social media channels. Be real. Companies that aren’t genuine get absolutely pilloried on social media these days, and deservedly so. Talk like real people in your tweets. ‘Faking’ social media is a sure-fire way to end up being mocked, and no-one can afford that kind of PR! Offer something valuable. Don’t just post for the sake of it and definitely don’t just post asking for likes! Make sure potential customers actually benefit from engaging with your page, whether it’s through special deals, contests or unique video content they can’t get elsewhere. The golden social media rule is simply this: give more than you get. If you’re using Facebook, it’s important to – again – provide unique content. This is especially the case if you’re taking the content marketing approach. No-one’s going to engage with FB if you’re just putting up an automatic feed of your on-page blog: they’re just going to head to the main site. If you don’t treat social as a unique promotional channel, your accounts won’t get any engagement. When in Rome. Every social media platform has its own unique style. Take the time to understand how you should operate if you’re going to engage with followers. Take a look at the accounts that are successful and see what they’re doing. Do they post once a day? Twice a day? Are their posts long or short? What sort of images do they use? Do they post videos? Again, there’s no harm in learning from the best: it’ll usually save you time later on. So, your app’s live. Job done, right? Wrong! This is perhaps the most important part of mobile app marketing: the constant loop of feedback and improvement. You see, practically no apps – or any digital products – are perfect first time out. It’s almost impossible to flawlessly account for every variation in handset, operating system, device specification and so forth. The key to app marketing post-launch is to be seen as a company that makes the effort to keep in touch with customers and to constantly improve over the long-term. Why? Because, in the end, app stores work in a similar way to search engines: they’re constantly looking to provide users with the most relevant, helpful results. And do you know what they’re not going to see as helpful? You’ve got it: apps with a shedload of bad reviews! You must do everything you can to maintain an average review score of 4.0 or above. As well as improving conversions on the app’s page, this is also likely to mean that your app is seen by more users. How can I make sure I get less bad reviews? Surely it’s a subjective thing? You’re quite right; a lot of ongoing reviews are subjective. However, negative reviews for apps are nearly always the result of technological flaws rather than subjective viewpoints. You’ll get far worse press for an error that could be fixed in one line of code than you will because users don’t like one of the colours. Here’s what to do; make sure customers contact you BEFORE they leave a bad review. Make it very apparent that you want to find out about any errors or bugs, and that you are actively seeking out this kind of feedback. If customers make the effort to get in touch – they don’t have to, remember – ensure you’re honest and open. Even if they’re not so polite to you! Act on any feedback you can, and always try to ensure that your customer ends the conversation in a much better mood than when you started. There’s no substitute for having a reputation as a company that cares about its users. (And you’ll often find that if you make the effort really help someone, they’ll be happy to leave you a nice review). 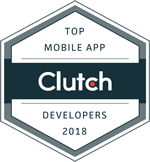 As you’re probably aware, it’s possible to send app notifications through to people using the app, and many successful developers use this to ask for reviews. There’s nothing wrong with this approach. However, do NOT overdo it. Customers that feel hassled into leaving a review are likely to knock off a couple of stars – if not more. One of the most common factors app store algorithms use to rate products is one that’s often under-rated: retention. It’s all very well people downloading your app – and this is another part of the algorithm – but are they actually keeping it? Most markets include ‘use’ statistics in your dashboard – Apple even provides ‘daily retention’ data. So what if your numbers are low? The cool thing is – as with search engines – you can get the data that’ll help you understand what’s gone wrong. There are LOT of app analytics tools on the market that’ll allow you to analyse useful data such as when your app was installed and when it was deleted. From this, a little rational analysis can help you combat problems. If, for instance, a particular demographic is retaining the app more than different group of people – your app’s caught on with the male market, for example – you can ensure that you target men more in future. Your retention rate should go up as a result. (Or, for instance, if the analytics show that if your app is going to be deleted it’ll be on the first day, you can try and modify it so that users are more likely to stick with it for at least that first period). It all comes down to working on your app. A good app isn’t set-and-forget: the more committed you are to improving it and taking feedback and useful data on-board, the more likely you are to get great results. Though the most basic stat, you shouldn’t take the number of installs lightly. After all, your number of users will be the defining factor when it comes to your revenue, and will also be a key indicator as to whether your marketing is working. However, you should definitely consider using an independent tracker, especially if you’re going to be relying on advertisements for revenue: it’s best not to trust stats from the same networks that are selling you ads! Luckily, Google has its own mobile app analytics tool, which is perfectly acceptable. As we mentioned further up the page, it’s important to ensure you measure both the amount of customers who’re continuing to use your app for the long-term, as well as for how long they’re using it in each session. Your key metric here is to evaluate the average ‘user lifetime’ – that is, the average number of days a user will continue to use the app after downloading it. By taking this figure, you can start to evaluate how much the app needs to make daily to be profitable. (And, as mentioned above, these stats can help you improve the user experience of the app). After all: your app is there to – directly or indirectly – make money! By taking the average lifetime revenue generated by each user and dividing it by the user lifetime mentioned in the previous point, you’ll be able to work out the average revenue per user. Your aim is, of course, to ensure that you’re spending less to obtain each user than the user generates: if you do, you’re in profit. Though it sounds like something from a book on Roman Warfare, cohort analysis is simply the technique of analysing each ‘grouping’ of your user base. So, those who came to your app through your blog are one cohort, and those who were targeted by Facebook ads would be another. By comparing the two, you can see which channels are producing the best results, and scale them up. (And, if you like, shut the ones that are less effective down). No two apps are the same. (Well, no two good ones, anyway!) Though we’ve tried to provide as much value in this guide as we could, there are always going to be variables in what is still an incredibly competitive marketplace. As we said at the beginning, you’re competing with literally millions of apps across the iTunes App and Google stores. Get a head start by giving Iconic Solutions a call today. We’re experts in the field of app marketing, and can offer you levels of insight that most developers simply don’t have access to. Get a head start: call us today. Nick is co-founder and CEO of Iconic Solutions where he has a proven track record of success in launching complex, enterprise-level solutions for both the B2B and B2C markets. He’s a frequent industry speaker and has a strong passion for evangelizing new and emerging technologies.